Babyology Exclusive - Monte Design nursing & Cubino chairs Australian launch today! 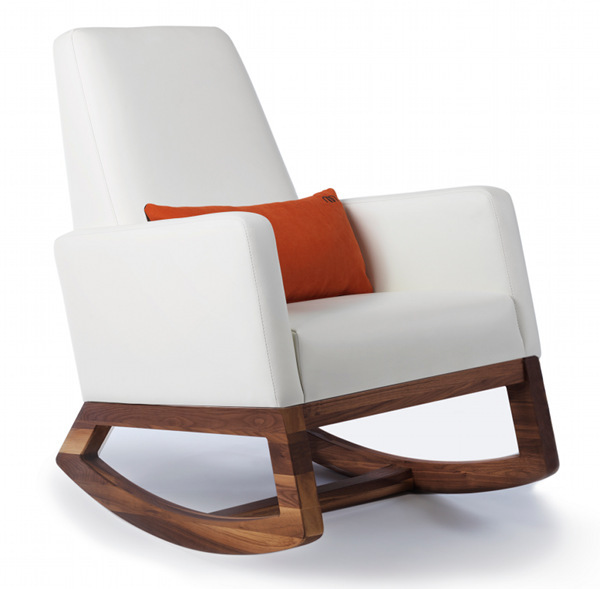 Babyology Exclusive – Monte Design nursing & Cubino chairs Australian launch today! We’ve been waiting years, literally years for this brand to arrive in Australia. Now we’re delighted to bring you the scoop that Monte Design furniture has indeed arrived and you can buy it today! We first told you about this beautiful brand way back in 2008 and I have to say it’s one that has stuck in my mind all these years, most especially for its children’s seats and sofas, the Cubino range (below). Now my favourite kids’ sofa is right here thanks to Mantha and You. Seriously mod and definitely adorable without the cutesy factor, these curved beauties will suit your modern abode. They will also blend with a vintage look. It’ll be a double for me; the Cubino Loveseat ($220) sits two children side by side in comfort. Also available is the Cubino Chair for one ($179). 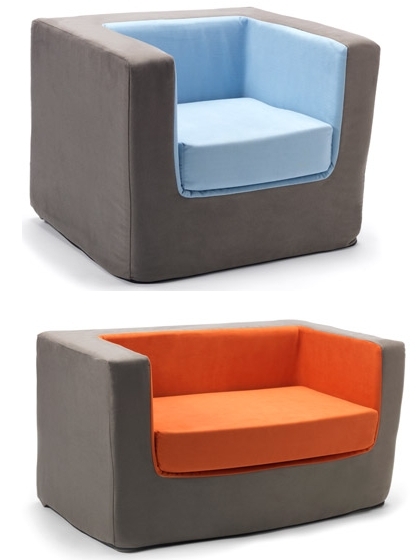 The Cubino range comes in charcoal exterior with a choice of blue, orange, green and pink. Also up for your selection is the Monte Design range of nursing chairs. At top is the sublimely beautiful Joya Rocker ($1499 and $1599) for which you can buy a co-ordinating Ottoman ($569) in a choice of white bonded leather and stone microfibre. 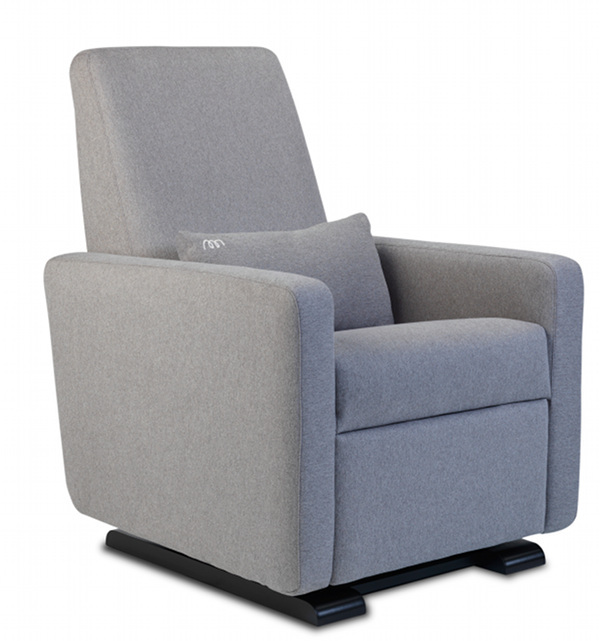 Then there’s the Luca Glider ($1499) and Luca Ottoman ($569 – above) in charcoal or heather grey microfibre, as well as the Grano Recliner (below) in heather grey ($1999) and white leather ($2199). We’d like to deliver a hearty welcome to this stunning furniture brand and thanks to Mantha and You for making it all happen!